Saturday 7 July 1877 saw the last underground shift worked at Ding Dong Mine. In a mine frequently referred to as the oldest mine in Cornwall the end of underground work was a totemic moment not just for the mine but for the area and the industry. This was the mine widely believed to have been visited by Christ and, moreover, to have been the source of the copper for King Solomon's temple. 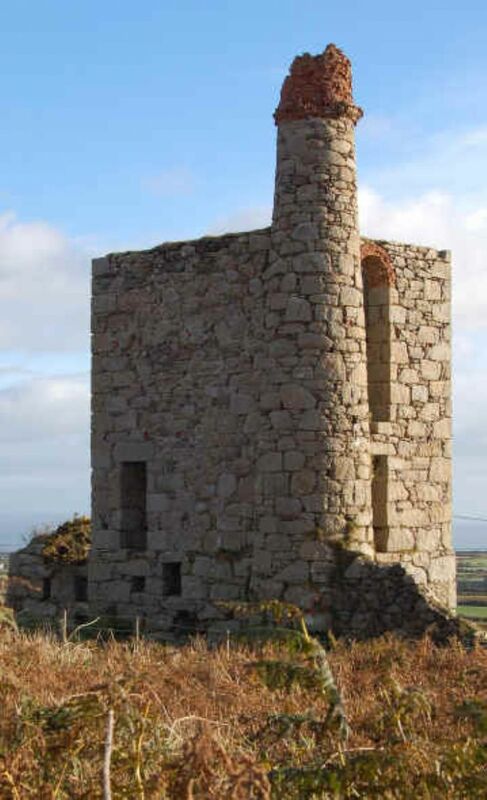 Whether Ding Dong was the oldest mine in Cornwall is really of no great significance. What is significant is that the mine had acquired a venerable mystique and its passing was seen as testament to the state of Cornish mining. And a catastrophic state it was. In the three years before Ding Dong's last underground shift the count of mines in the county fell from 230 to 98. In St Just Balleswidden and the iconic Crowns Mine had been stopped in 1874 while St Ives district had lost St Ives Consols in 1875 and Providence was put up for sale in 1878. The pattern was repeated throughout the mining districts. The case of Providence is particularly noteworthy, after 21 years of continuous dividends the January 1874 meeting announced no dividend due to the declining price of tin. More pointedly, the joint pursers, Samuel Higgs and his son, both left the mine, the elder man due to ill-health and his son, seizing an opportunity, joined the exodus to Australia. The cause of this calamity? Cheap tin from Australia and the Malay Straits which drove down the price on the market. In 1872, at the height of mini-boom which preceded the collapse, black tin had reached a price not seen since Napoleonic times with an average black tin value over the year of £87 per ton. But the flood of cheap foreign tin over the next few years saw the price plummet, taking the speculative ventures of the boom with it. By 1878 the black tin value for the year had collapsed to £35 per ton. The table tells the story of the collapse of Cornish tin. Aside from the shock felt by the shareholders of Providence Mine in 1874 this collapse was disastrous for the working miners and their families. Balleswidden, once one of the biggest employers of miners in Cornwall, closed with the loss of 352 jobs, though most men were able to find work at other St Just mines. Providence Mine had a workforce of 500 in January 1870, 300 of them underground. By 1875 the workforce had decreased to 205 and by the time of the final pay day in January 1878 the young men were gone and the older men left workless. And at Ding Dong? At its peak Ding Dong had provided a livelihood for over 500 people and as late as 1875 the workforce stood at 265 but by November 1877 it was down to 64 and eventually, in January 1878, the bal was “knacked and all hands paid off”. These last few had been on short time and meagre wages for months. The last days of Ding Dong Mine were hard. The tin production data is sourced from Burt et al, Mining in Cornwall and Devon, University of Exeter Press, 2014. The book gives annual values and tonnages and I have merely divided the value by the tonnage to give a crude indicator of black tin value over the period. If you'd like to take a walk around the ruins of Ding Dong Mine you'll find a good guide in: Exploring Cornish Mines vol 2, Ken Brown and Bob Acton, Landfall Publications, 2007. Old mining sites are dangerous places, especially Ding Dong, so take care and stick to the footpaths.